We all use vanilla frequently in our baking, and vanilla is reputedly the world’s most popular flavor. But many of us who use vanilla know little about it, except that it smells and tastes great…and sometimes seems outrageously expensive for such a tiny bottle. Fortunately a little goes a long way. I keep several bottles on hand, using vanilla from Madagascar and Mexico (the real stuff) most frequently. I also keep beans on hand, which I store well-wrapped in a drawer, which I use for infusing and steeping in things like vanilla ice cream. Here are some answers to questions that I am frequently asked about vanilla. What’s the difference between the three different “origins” of vanilla that are available? Bourbon: This doesn’t mean the vanilla contains whiskey – it refers to the Île de Bourbon, now known as Réunion. Most Bourbon vanilla is now grown on the island of Madagascar, the largest vanilla-producing region on the world. Bourbon vanilla is the strongest and most full-flavored of all the vanillas and give you the most ‘bang-for-your-buck’. I use Bourbon or Madagascar vanilla for baking, since its assertive flavor doesn’t get lost when cooked. Tahiti: Tahitian vanilla gained popularity a decade ago; its higher cost perhaps fanned its fame. Tahitian vanilla has a more subtle delicate flavor than other vanillas. It’s very floral with tropical notes. I use it in fruit salads or scenting tropical fruit desserts since baking with it seems a waste of its subtle flavor. Tahitian vanilla used to be far more expensive than Bourbon, but recent socio-political and economic events equalized the prices somewhat. Tahitian vanilla beans are plumper than others, although that doesn’t necessarily mean they have more flavor or are a better value. They’re just naturally moister. Mexico: If you think that quart bottle you bought in Mexico for $1 was a great bargain, think again. (Then dump it down the drain.) Real Mexican vanilla is perhaps the best in the world, and the price of pure Mexican vanilla is similar to other pure vanilla extracts. Labeling laws in Mexico differ than those in other countries, so that jumbo bottle of “Pure Mexican Vanilla” that you bought at the tourist shop is likely a synthetic and contains coumarin, a substance banned in the United States by the FDA since there are concerns about toxicity, like tonka beans. I love pure, true Mexican extract. 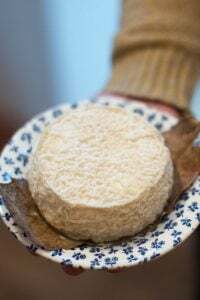 It’s sweet/spicy scent reminds me of just-churned vanilla ice cream and is versatile for every baking and cooking application. Other vanilla growing regions include Bali, Sumatra, Java, China, and Indonesia. 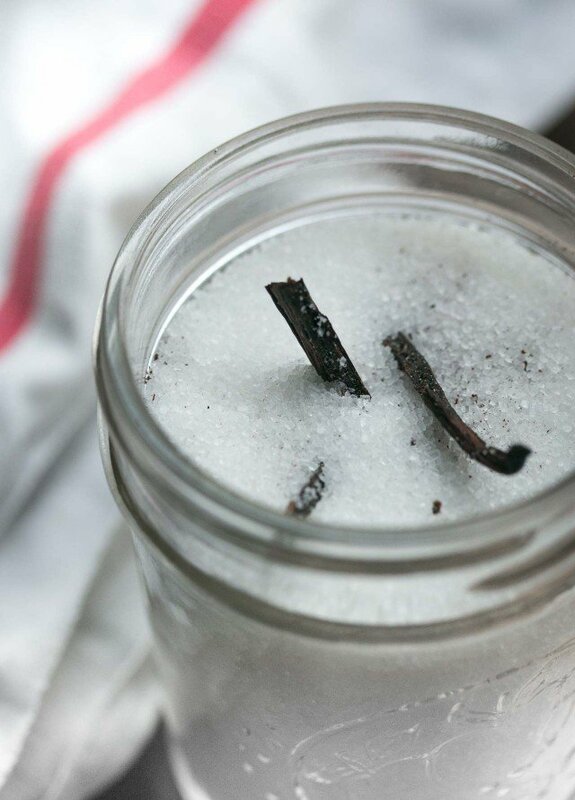 Often in some of these countries, vanilla beans are dried over fires to speed up the process, giving the vanilla beans a smoky aroma. If possible, I sniff the vanilla before buying when it’s been produced in any of these countries. But in general, I don’t use much vanilla from these regions. The prices are generally lower but the quality may not be as good as the others. You may have noticed wild fluctuations in vanilla prices over the last several years. Political unrest and commercial reliance on pure vanilla increased demand and raised the prices worldwide. Vanilla cultivation is also the most labor-intensive of all food crops. Each orchid stalk can take two to three years to produce its first flower, which needs to be pollinated by hand. The process can’t be done by machine. After they are pollinated, the beans are branded (to prevent theft), harvested, cured and air-dried for up to one month: during which time they’re rolled up and stored away each evening to prevent condensation and theft. Vanilla cultivation is dangerous business. Because this valuable crop is cultivated in impoverished countries, looting, theft and violence are unfortunately common. Considering how little vanilla is used in baking, I don’t mind buy top-quality vanilla, which costs little more than commercial varieties but is infinitely better, and supports an eco-system that provides better wages and conditions for farmers and growers. 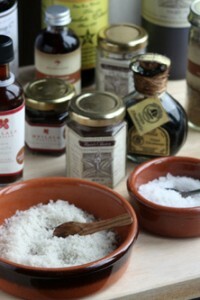 How do I substitute vanilla bean paste for vanilla beans or vanilla extract? There are no hard and fast rules, as some pastes are stronger than others. 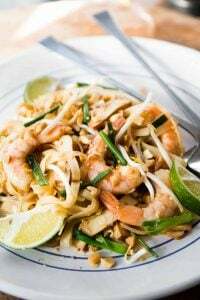 Generally speaking, you can use 1 teaspoon of vanilla bean paste or seeds as a substitute for 1 teaspoon vanilla extract. 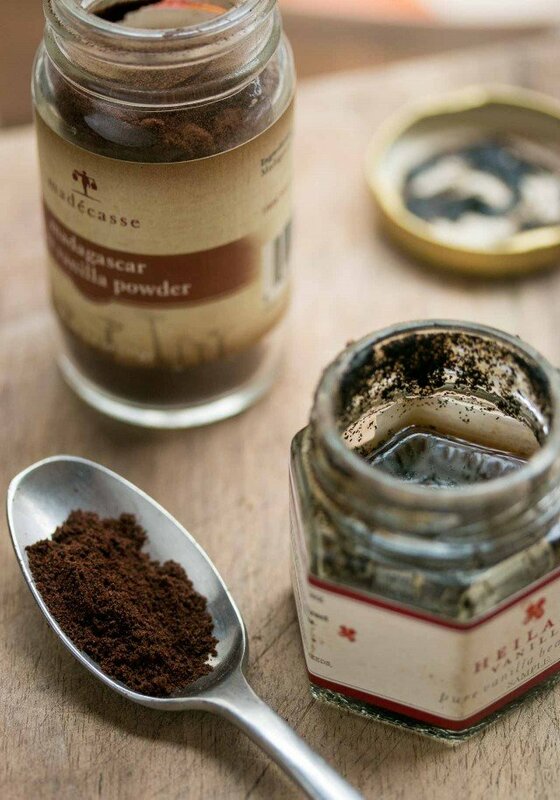 To replace 1 vanilla bean, use 2 teaspoons of vanilla bean paste or seeds. What is single-fold and double-fold vanilla? Vanilla extract is made by soaking vanilla beans in alcohol. 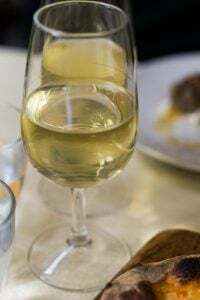 Commercially-available extract has a very high ratio of beans-to-alcohol: Single-fold vanilla has about 13 ounces of vanilla beans (about 100 beans) per gallon of alcohol. Double-fold has twice as many (26 ounces of vanilla beans) and is mostly used by professionals and for industrial uses. Can I make my own vanilla extract? Sure. Recipes abound online for making homemade vanilla extract, which call for storing the vanilla beans in alcohol for an extended period of time. Some call for 3 to 5 vanilla beans stored in 1 cup (250ml) of liquor for two months or longer. 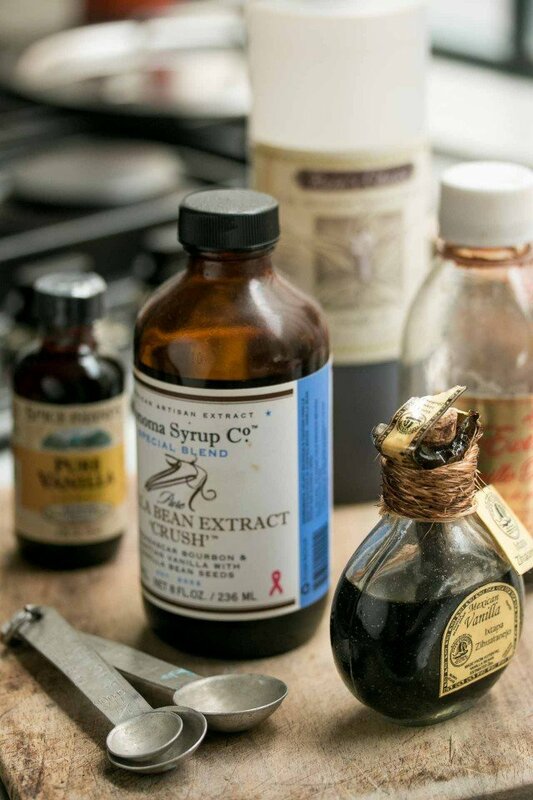 Since commercial vanilla extract has a higher ratio of vanilla, it’s stronger, so you’ll need to adjust the quantities called for in recipes and perhaps use more of your homemade vanilla than the stuff from the bottle. The vanilla at the chain stores and online is really cheap. Can I use that? Inexpensive vanilla is available online and at chain stores, at prices that are a lot lower than other vanillas. Personally, I find those extracts weaker in flavor than their more admittedly pricier counterparts so I don’t use them. And since you are using vanilla extract by the teaspoon, unless you are doing a huge amount of baking, the savings may not be worth it. There are good-quality vanilla beans available online at attractive prices and while they are quite reasonable, you can read more at Where’s the Cheap Vanilla? to learn a little more about them and why vanilla bean prices vary and fluctuate so broadly. Is the world’s largest vanilla market on the verge of collapse? reports on farmers in Madagascar being forced to lower their prices, and subsequently, reduce their earnings, due to the volatility of the weather, industrialization, and competition from other countries. How do you store vanilla extract? Vanilla extracts are packed in amber-colored bottles for a reason. 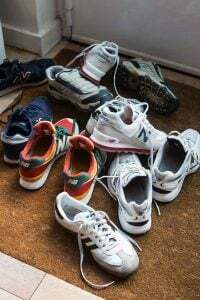 Since light and heat are the biggest enemies of extracts, store them in a cool, dark place, but not the refrigerator since separation and condensation can cause them to spoil. 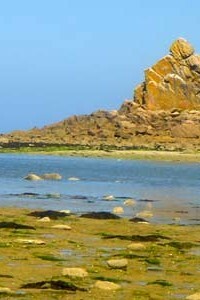 Most extracts will retain their potency for at least a year. I find it keeps for up to three years if properly stored. Buy pure vanilla extracts from sources that sell lots of extract, since stock rotates frequently. What about storing vanilla beans? Vanilla beans should be moist, never brittle, when you buy them. To keep vanilla beans moist and plump, store them in airtight bags in a cool, dark place – not the refrigerator, since moisture can cause them to mold. Once used, you can rinse and pat dry vanilla beans, and store them in a jar of rum, vodka or whiskey. They can be re-use for infusing or poaching with fruit, as they still contain a lot of their precious flavor. Well-dried vanilla beans can be buried and stored in a container of sugar for a few weeks to make vanilla sugar, which can be used in place of regular sugar in things like whipped cream. 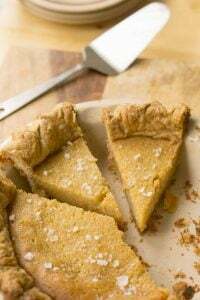 Or they can be ground with flaky sea salt to make vanilla salt, which is nice sprinkled delicately over a chocolate tart or other dessert. Why is there alcohol in vanilla? Alcohol is an excellent base for infusing and for preserving, and it doesn’t spoil. Most vanilla extracts have a base of about 35% alcohol. There are vanilla extracts without alcohol for those wishing to avoid it. 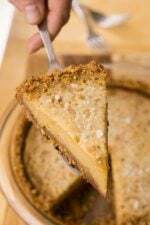 (Most of the alcohol cooks out during baking, but trace amounts do remain.) 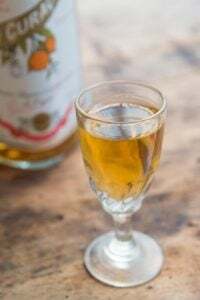 Studies have shown that alcohol changes the way your senses “taste” flavors, so I add a bit of vanilla extract to vanilla-based recipes, even if I’ve infused them with vanilla beans. 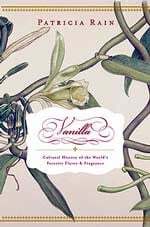 An excellent book that I recommend is Vanilla: The Cultural History of the World’s Favorite Flavor and Fragrance, where you’ll find historical and cultural information on this popular flavoring. It’s written by Patricia Rain, one of the world’s leading experts on vanilla. Nicky: I wrote this post when, gulp, I ran out of vanilla extract (and it’s impossible to find in supermarkets and food shops in Paris…) I only found vanilla ‘aroma’ which has glucose and artificial coloring.) And the professional-supply shops only sell pure vanilla by the litre! Michele: I buy my vanilla at http://www.vanillaqueen.com, from Paticia Rain. We bought from her at Chez Panisse and I still use her as my source for all things vanilla. I’ve never seen much super-cheap vanilla, but would be skeptical unless I could get a good sniff first. And since most people just use a few teaspoons a week, it’s really worth getting the good stuff. The last few years the wholesale price went up like 2000% (yes, really) but this year it’s gotten much cheaper. So stock up! Alisa: Yes, I’ve seen that salt and vanilla combo at Monoprix…so why can’t they sell pure vanilla extract there as well? Yeah, what you can and can not get at “regular supermarkets” here keeps me baffled too. I’ve been having friends send or bring me vanilla from the US. Does Patricia Rain ship to France? wow, thanks for the tips! i’m afraid i’ve been a generic vanilla essence and vanilla pod user, so i haven’t a clue that there’s so many variety! What an informative post, thanks. I almost hesitate to ask, but what’s the scoop on vanilla powder? Is my labeled as real vanilla powder actually vanillan (the ucky wood by-product) or something equally awful? -just vanilla seeds, sometimes called vanilla ‘caviar’, and quite expensive. If you buy your vanilla from a reputable source, and it’s labeled pure vanilla, it should not have vanillan in it. The US and European Countries have rather strict labeling laws. In the US, anything labeled ‘vanilla’, like vanilla Coke or Haagen-Daaz Vanilla Ice Cream, has to have real vanilla in it. Hi, David, I posted something from Patricia Rain that I think you will enjoy. Please let your readers kmow what they can do to support the continued growth of real vanilla. Many thanks! Years and Years ago I saw a photograph of someone hand-pollonating a vanilla orchid. The tiny needle was almost invisible to the camera, it’s thinner than an acupuncture needle! It has to be as small and un-intrusive as a bee’s leg. When vanilla is cheap it scares me. But I’ve also caught distributors on this side of the trade “fattening” beans with water to make them pricier… so that stuff doesn’t just happen in “third-world” countries! Beautiful piece, I’ve sent it along to a few people. Can’t wait to see you next month! It’s ironic how vanilla is the most sparse ingredient in pastries (1 tsp for a whole cake), but it’s also the most expensive! I think that 1 tsp costs more than the flour and sugar. When vanilla was expensive, I merely baked without it rather than turn to artificial flavorings. I might try to make my own extract now, since “organic-vanilla” on Ebay sells 30 bourbon vanilla beans for $20! I think I heard about this Ebay seller through Melissa. Now despite the fact that I haven’t purchased from them, they seem to have a good reputation on eGullet for quality beans (they sell Mexican and Tahitian, for between $.25 and $1 per bean on average). Caveat emptor, but I’d love to hear if either of you have purchased from this vendor. …who is going to dump my $1 Mexican extract bottle at this very moment. I should know better!